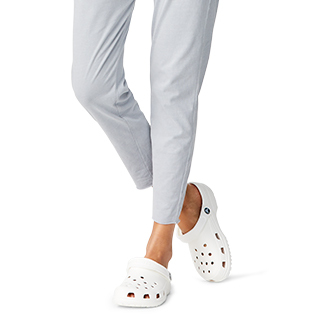 Cozy, fleece-lined shoes for the entire family. Fleece-lined boots, clogs, and shoes in a variety of colors and styles. 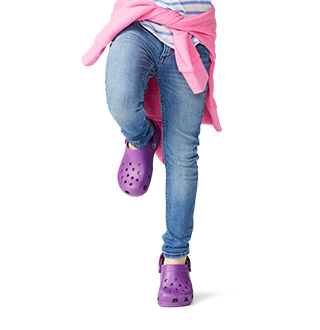 Crocs™ Fuzz Collection is sure to keep the whole family warm, no matter the season. We've got fuzzy shoes for any occasion, whether you need fleece-lined boots for playing in freshly fallen snow, warm lined clogs for taking a walk through the park or faux fur-lined shoes for keeping warm around the house. Once you slip into a pair of these fuzz-lined shoes you will see why there are so many fans out there. 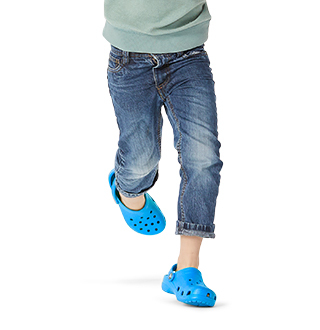 Although they all have an extra layer of comfortable fuzz, you'll find that all Crocs™ Fuzz Collection shoes are built with Croslite™ keeping these boots, clogs, and shoes lightweight with all the support and traction you need to keep you up and moving on your feet all day long. Looking for more shoes that will keep your feet warm and dry? Our selection of boots are perfect for trekking through snow, playing in the rain or hiking along your favorite trail! For other styles of cold-weather shoes, be sure to check out our collection of kids' winter shoes, women's winter shoes, and men's winter shoes and find the perfect pair to keep every one's feet warm and dry this season! Warm. 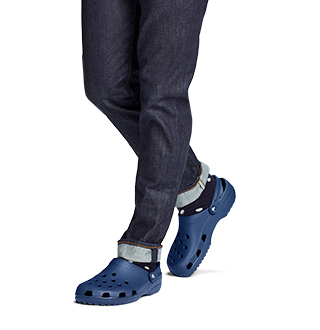 I wear my crocs on casual day at work. I stand for most of my day, comfortable. I'd recommend these. True to size. Looks better than the "duck feet"